@TenebrisNemo I unfortunately do not have time to make cards, would you accept a detailed layout of the card? And I will definitely work on his departure story. @DoctorFro - That would require the new 16 players to create a champion already in the 2nd stage when they enter them into the tournament, and I really wouldn't like to keep champions of inactive cardsmiths from this discussion in the tournament. What if some old champions get even further in the game, but their creators are not around to upgrade them for the finals? It would be a very boring way to win the whole tournament for the other champions when their opponents are no longer playing, right? It would be better and simpler to do this "soft reset," and create a new tournament discussion, where another 16 champions of 1st stage forms will be selected for the tournament. So you're required to remake Koorir, but you don't have to change him much, only the borders if you'd like, and the abilities a little bit, and even colors. Lore wise, he could be more experienced thanks to his match, but the CMC must still be 0, 1, 2, or 3 in the 1st round of the new tournament discussion. @baryonyx69 - You don't have to post cards if you don't have time, nor the story, but it would be interesting for me to see what Zintius will do after the tournament and what will become of him. @shadow123 - So that everyone starts from the same line, yeah. You need to create a 1st stage version of Tai again, but she could still have the piper skills and artwork... and other minor changes, if you want. Zintius waited for nightfall to depart. Not many showed up for it, but he didn’t care. The less attention he got, the better. After an extremely painful process, he arrived back on his old plane. Luckily, the sun was down. The valley below was glowing from the many torches in the cities. The human cities. That housed the same humans that shunned him years ago. One of their own kind, turned away, ostracized and left to fend for himself. The rage slowly built up inside him, as he remembered everything he endured. His mind began to cloud with fury, his hands balled to fists, his eyes glowing, his desire for death and destruction growing more ravenous by the second, until something inside him snapped. He let out a yell, deep from inside him, one of rage and hate, one that demands revenge. He exploded into the sky, soaring up at an accelerated rate, until he suddenly plummeted, diving into the valley. He lowered into the streets of the first town, slashing his claws at anything and anyone, crashing through anything until nothing was left. Then he moved to the next town, and on through the whole valley, slaughtering the entirety of the human race by himself. When is match 16? I want to see if Pele will figure out dragonborn aren't the same as a dragon. How soon? I have the PC for typing out anything for a few hours. @Bowler218 - In an hour or so. Then the rest of that match's sections will come soon after in few hours. Grey clouds filled the sky completely above Eternstor during the morning after the fifteenth match. It unpleasantly reminded many people from the weather during the shade crisis many days ago in Salaxum. Pele had already eaten her breakfast when she prepared for her match in her room. The 16th match was approaching, and it would not have taken long until the dwarf announced the exact time and location. This is the final match of this round... I need to defeat Helekiir somehow, and win. For the sake of my friends. On her bed was her leather pouch, which she filled completely with black dust. When she closed the pouch and tied it to a rope on her waist, she turned to look at the desk of her room. On the desk was the potion Constable brought her last night, which was supposed to soothe the body if it would be in pain. And right next to the potion was a normal pineapple. After a few seconds of staring, Pele took the pineapple to her left hand, then left the room. The door creaked as it slowly closed behind Pele, whose footsteps echoed in the corridor. At the moment when Pele stepped outside, she heard as the dwarf announced a match for the last time in the streets of Eternstor. "Citizens! The sixteenth match between Pele the pyromancer and Helekiir the dragonborn will be held at the backwoods arena in an hour! It's the final match of this round, do not miss it!" A quiet wind swept through Eternstor and its nearby areas. The sound of ocean waves echoed in the lonely shores, and the only things that moved in the grey ruins of Salaxum were dead leaves. Pele ran through the forest path that led to the backwoods arena, and sometimes moved past a person who walking to the same direction. The last time that many people were eager to watch a match was during the day when Vir and Hukong fought against each other. It seemed so long ago for Pele, and for many others as well. When Pele got to the forest arena, she slowly walked to her spot, where many others had stood before their matches had began in that place. Helekiir was already on his spot, staring at his opponent while thinking and stroking his chin with his right hand's claws. He was quite perplexed once he saw the pineapple in the young human pyromancer's left hand. Though she is a child, she did had enough willpower to enter the tournament. I will try to finish her off before she lets out an inferno and burns this forest away... or herself. Judging by the rags she wears, no proper flame manipulator has ever taught this girl. The two contestant stared into each other's eyes for a few seconds, then Pele looked at the audience, which was slowly being filled with people. Judge Gaspar, ringmaster Philibert, and master Eetu were on their usual spots at the highest row of the wooden stands. Then she looked at the second highest row, where the present contestants were. Pele waved there when she saw Sylva and Koorir. Tai was most likely sitting on Sylva's shoulder, but Pele couldn't see her. After few minutes, no more people were coming to watch the match. The wooden stands were full, and those who didn't have a place to sit were either standing or sitting on the grassy forest ground at the edge of the arena. Armored soldiers stood in every corner of the wooden stands and the white tent, where the healers prepared themselves for another possible bloodshed. Sir Killian looked at the sky, which could be barely seen between some trees, and he only saw grey clouds. Then the knight noticed as Michiko walked next to him. "Let's have a drink in the tavern once this match is over, alright? I bet I'll be much more helpful in there than in any of the matches I've been in." "Deal. But it's already helping when there is someone who watches closely over those who could lose control. Do not underestimate your role, my lady." "Heh... alright," Michiko said and walked back to the northern edge of the arena, where nobody else except she was allowed to be. Sir Killian walked onto the wooden podium, and turned to look at the audience while he cleared his throat. "Greetings, people of Eternstor, and everyone else, who have come here to witness yet another match of this tournament's first round for the final time! Today, the last pair of contestants will fight for their position in the second round, and only one will achieve it! After this battle, sixteen victorious fighters will travel with the tournament to the kingdom of Lisakdonia, where the rest of the games will be held. Death may show itself during this match and many more to come, but always remember, my dear people... Our heroes will never die as long as we have faith in them!" Each host, guard, healer, and civilian repeated the same saying, then the Eternstorians cheered loudly afterward. When it was silent again, Sir Killian, who was still turned towards the audience, raised his left hand to Helekiir's direction. 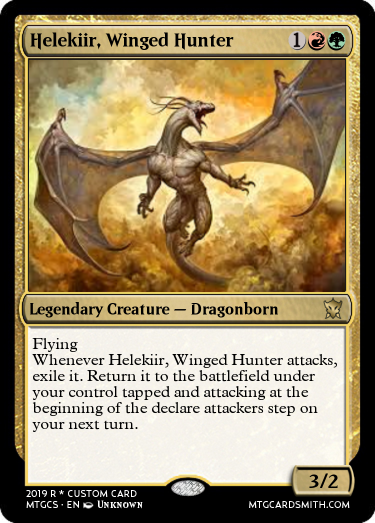 "A young dragonborn, who has fought through many hardships; Helekiir, Winged Hunter!" The dragon stretched his wings majestically as the beings of other races clapped for him in the audience. When they stopped, Sir Killian raised his right hand to Pele's direction. 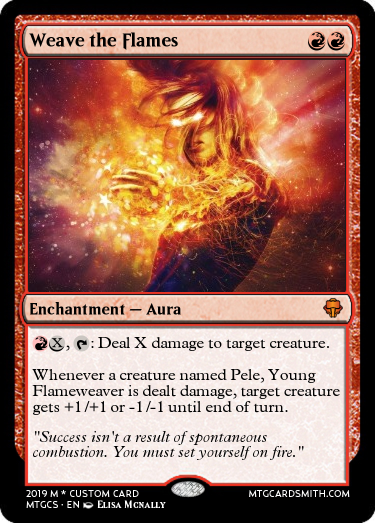 "A girl of fire, who braves any obstacle in her way without hesitation; Pele, Young Flameweaver!" Bright ball of fire appeared in Pele's right hand and she smirked while the people gave her an applause. After that, Sir Killian turned to look at both contestants, then raised his both hands towards them. "Let the sixteenth match begin!" A dragon's screech echoed in the forest as Pele was running through the branches, plants, and bushes while she pressed the pineapple to her chest with her left hand. The battle in front of the audience has been fruitless however, as Helekiir seemed to be completely immune to the fire spells Pele had cast upon the dragonborn. But the pyromancer had been agile and small enough to avoid her rather large opponent's claws, so she decided to run deeper into the woods. Helekiir was flying right above the forest's tallest trees, and he sensed easily where Pele was moving. When he had been gliding for a minute, he felt as few raindrops fell onto his back and wings. It only took a few seconds until a tiny rain was above the forest, which surrounded those on the ground with its quiet sound. I pity the girl. She has no chances of winning, especially now when the rain is weakening her fire spells. I better make her surrender so she won't get too upset. With those thoughts in his mind, Helekiir swooped down between the trees and through the branches at Pele, who thought to be hidden from the dragon. When she looked behind to see what broke the branches, Helekiir quickly grabbed Pele's shoulders with his hind legs and lifted her up from the ground. The claws cut through Pele's shirt and scratched her skin as Helekiir tried to ascend before crashing into trees in front of him. 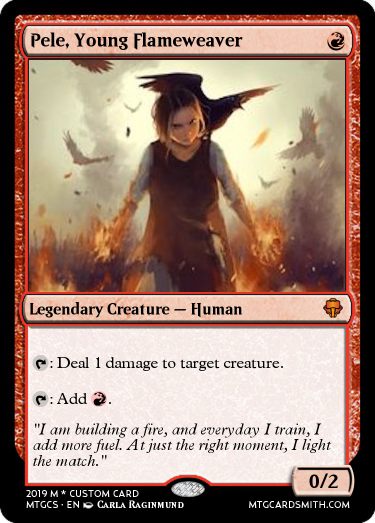 As the young pyromancer screamed in pain, she quickly conjured a large fire into her right hand, which started to climb Helekiir's right leg in the form of a cat. When it started scratching the leg furiously, Helekiir screeched and let go from Pele, causing her to fall at least five meters onto the forest ground that was full of hard roots. A loud crash of branches echoed in the forest soon afterward when Helekiir hit the trees while his leg was burning from the injuries the momentary cat had inflicted. After lying on the ground for a moment, Pele stood up. Her broken shirt was hanging loosely on her bloody shoulders, and she had bleeding wounds on her knees and elbows for hitting the ground too hard. Yet somehow, she was still holding the unbroken pineapple in her left hand. The sound of loud footsteps helped Pele to focus on her safety. She looked around until she saw Helekiir walking towards her from behind a large tree. The humanoid dragon had cauterized scars in his right leg and few sharp tree branches in his wings, which had impaled them when he crashed. Helekiir, annoyed from the fact that the rain didn't weaken Pele's spells, stopped a few meters away from the pyromancer while he moved the claws in his left hand as a warning. In response, Pele bounced the pineapple in her left hand in a mocking way. The dragon snorted. "What is so special about that pineapple? It's not going to help you in any way!" "That's what you think," Pele shouted back and smiled while her eyes were furious. "I just thought I would turn it into a fruit dragon once you've been dealt with!" Helekiir roared in rage as his pesky opponent kept making fun of him, and charged at the pyromancer mercilessly. Pele threw the pineapple at Helekiir's head, which only bounced away from the unflinching dragon. When Pele dodged the claws by rolling to the right, she reached for her pouch while she was on her right knee. It took a few seconds for Helekiir to slow down, turn around, and charge again. In that time, Pele had already burned the black dust from the pouch into the two flames in her both hands, then she pointed her hands towards Helekiir and shot a burning ball of darkness. The spell exploded when it contacted Helekiir's chest, and it threw the dragon few meters away while it was burning. Unnatural black smoke came from the explosion. Even though the flames on Helekiir were soon extinguished by the rain, his body screamed in pain thanks to the serious burns. The winged hunter, lying on his back, slightly raised his head to look at Pele, but the world around Helekiir darkened quickly, and the dragon's head fell onto the ground as it lost consciousness. Pele was on her knees while she covered her ears with her hands, which were slightly stained in black. She kept groaning hysterically while she cried a little and her body was shaking. Pele's body vibrated in pain, her mind was filled with negative energy, and she only saw endless darkness. When the black smoke disintegrated into the cold wind, Pele collapsed onto the ground and stopped moving. Tai watched concerned. She had only one thought in her mind: You can do it Pele! Gyar and his handler had attended this match, curious of how this particular match of man vs beast would pan out. They were behind the stands, with the young man sitting on Gyar's head as they watched. How I see it: the winner is whoever regains consciousness first to finish the job. It's not first to die. Losing consciousness or being immobilized counts too. @tenebrisnemo i'm still here and would like to continue if the pace picks up a bit, its been since june or july that i wrote my story and updated to the second stage. Don't know what your plans are for this tournament. Pele opened her eyes and saw nothing. She could only hear her own echoing breathing as she was slowly falling in darkness. Her body wasn't in pain anymore, but she couldn't see herself or her wounds in the dark. After a few seconds of being confused, the young pyromancer tried to create a tiny flame with her hands to give light, but was not able to do it for some reason. Suddenly, Pele felt as she slowly landed onto a stone floor with her feet. The pitch-black darkness slowly faded away from around her, and she could see herself in a round room that seemed to belong in a castle. The room was dimly lit by sunlight which came from a single window in the ceiling. At the middle of the room was a round table, where a large map was. Two men stood next to the table, one at each opposite side. One of them had medium, brown hair and a short beard. He wore a red cloak, golden armor, and a large crown. The other man looked younger and he only had long, black hair. A large, grey cloak covered his body, but it was clear that he wore a steel armor underneath, as the armor's pauldrons stood up on his shoulders. Both men didn't seem to notice Pele, who was standing only a few meters right next to them. All colors in that place were faded, and Pele had a feeling she had turned into a ghost, until the bearded man started talking in an oddly echoing voice. "... and that's why I summoned you here. To give you this sacred mission, where you will lead these men to the eastern lands, where the kingdom shall spread its protective wings. Our people may live in there peacefully, far away from the looming threat of the west, and the men you lead shall bring the riches of those lands here, to make the kingdom prosper even further." "But the western threat is a mere rumor," the younger man said in an echoing voice and a confident tone while he looked at the map. "There is no good reason why they would attack us. Also, the lands in the east have been left alone for so long, perhaps for a good reason. With all due respect, Your Highness, leave this mission for another time, when it would be truly necessary, and focus on the people right now." "Listen," the king said in his deep voice and walked to the knight's left side. "This mission is all about our very own people. How can they feel safe if we do not make our kingdom strong enough to face any possible threat? You're one of the few whom I'm sure can succeed in this, and this mission needs to be accomplished for the sake of our future." "Your Highness," the knight said calmly and turned to look at the king. "I hope You understand that I can not accept this mission. You need to focus on the current problems rather than send people to the unknown and let them find some more. Besides, my duty as Your knight is coming to an end very soon. It would be best to forget this idea for now and-"
Before the knight could finish his sentence, the king grabbed the young man's throat with his left hand and pushed him against the stone wall. A wooden stool fell during the scene and the rattle of armors echoed while the knight groaned. "And let me guess," the king spoke as he looked more vicious than before. "You will disobey your king's commands and leave my people behind as you run away with your betrothed?" The knight looked at the king in fear while the ruler slowly raised him slightly from the floor while strangling the young man. He groaned some more while he grabbed the king's left hand with his both hands in order to stop him, but it was in vain and the king just smiled. "Ah yes, I know how much time you've spent with that cursed woman. You think someone with such connection to forbidden powers would go unnoticed under my rule? If you do not lead my men to the east and bring fortune to the kingdom, I shall make sure your secret will be revealed to the public, and you will both be executed, starting with her." The king released his grip from the knight, who then fell onto his knees while coughing many times. When the knight looked up, the king stood tall, and he pointed at the knight with his right hand's finger. "Your duty ends when I say it will. The mission is already underway, and that's where I need you one last time. You will spend the night here, then leave with the others at morning. Such is my command." After a moment, the knight stood up slowly, and the king beckoned at two heavily armored guards with familiar rune-stones behind Pele. The guards simply walked through the pyromancer, and then they escorted the knight out from the room through a bright doorway. Pele was sure it wasn't there before, just like the two guards. Then the bright light surrounded Pele completely, and she had to close her eyes while covering them with her hands. The familiar sound of a bustling city came from outside the hospital room. Pele opened her eyes and found out that she was lying on a comfortable bed. She quickly noticed Sylva, who was sitting on a chair right next to the bed. Tai was also there, sitting on Sylva's shoulder. "Pele! You're finally awake! How do you feel?" Tai burst as she quickly flew onto the pyromancer's belly, and Sylva smiled. Pele silently looked around. The afternoon sun was shining outside, and her elbows, knees, and shoulders were bandaged. Her hands weren't stained in black anymore, and she had comfortable patient clothes on her. Tai was concerned about her friend. Pele saw this and smiled a little. "I'm fine, Tai. That was quite a match! But who won?" "Yeah..." Tai said and looked at her tiny hands. "About that..."
Suddenly, the door opened and the four hosts walked in. Sir Killian, judge Gaspar, master Eetu, and ringmaster Philibert all looked at Pele, who had awakened. Then Sir Killian looked at Sylva and Tai. "Leave us," he said calmly. And the girls quietly left the room and closed the door. Philibert took a seat next to the door, Gaspar stood at the end of Pele's bed with his hands behind his back, Eetu leaned against a wall, then Killian walked next to Pele's bed and knelt down. "Pele... How did you manage to perform that spell in your match?" She told the hosts how she got traces of Merikh's magic from a broken shard, and how she made the dust with Tai's help. Eetu, who seemed quite angry unlike other hosts, stepped next to Gaspar. "That's what I suspected. She used powers of the abyss, and won only because of it. Helekiir fought fairly to the end, so why should we allow this girl to go to Avelaide, when she can perform such dark spells?" "Every contestant is allowed to bring anything they can to the matches," Philibert said confidently while he rested his hands on his silver walking stick. "We all know Pele is no dark magician, and even is she is, what would it change? Many contestants use similar powers as they fight in the tournament, as you already should know, Eetu." "You miss my point," Eetu said and pointed with his slender finger at Philibert. "Her spell was straight from the abyss of Avelaide, and if she finally learns how to use that power in that world, who knows what chaos it would bring!" "I'm quite sure we are able to prevent that from happening," Gaspar said roughly as he turned his head to look at the merfolk. "The people of Lisakdonia have seen enough dragons anyway. Pele is the winner of the match, and will travel to Legorna with the other fifteen contestants." Eetu put his right hand onto his forehead in frustration for a moment, then he raised his left hand towards Sir Killian. "Killian! You and Acyros have fought against Akons and Merikh. You know better than anyone what the abyss can do. Talk some sense to these two!" But Sir Killian just stared silently into the eyes of the merfolk wizard while he was still knelt down next to Pele's bed. After few seconds, Eetu hissed while his fins quickly flashed their red colors on his body, then he quickly left the room. Gaspar slightly smiled at Pele, then he walked out from the room. Philibert stood up from his chair, walked next to Killian, and smiled brightly while looking at Pele. "Impressive fighting today, little pyromancer. How I wish you would be part of my circus crew... Maybe someday!" Philibert gave Pele a bright red lollipop, then he tipped his top hat and left the room. Sir Killian also smiled a little, then his armor rattled as he stood up and was beginning to leave. Pele quickly grabbed the knight's right gauntlet with her left hand. "Wait, Killian! I saw something odd while I was sleeping." "Really? What did you see?" The knight took the chair, where Sylva had sat down earlier, and listened to what Pele had to tell about her vision. During that time, the contestant and the host heard as the dwarf announced the winner of the sixteenth match right outside the hospital room's window. This was a tough one. Both characters are interesting, and their designs are pretty much the same quality. The result might even feel unfair, as Helekiir was presented quite late. However, Helekiir had no crowd support nor signature card, even though there was still a little bit of time to gain both. So Pele's character influence granted her victory. Pele has a guaranteed spot in the new tournament discussion, which I will create soon. You may create a new 1st stage version of her with new abilities, colors and borders. Remember that if you do not post it before the knockout competition begins in that discussion, a new player will take your place. @Bowler218 - Even though Helekiir is out from the tournament, you may post his later versions here and write his departure story. Remember that you may still create a new champion for the next discussion, which has a chance to get into the rest of the tournament! The tournament bracket has been updated for the last time. Remember that a new bracket will be made in the new discussion, so I updated this only to keep memory from those who have won in this discussion. The dawn was cold, as winter was coming. Peace has come in Helekiir's heart, but it doesn't release him from the rage of what happened that day. Life's been as normal as it can get for him. Although he won't forget what happened. It might take years, but he'll find that fire-mage, and have the rematch he deserves. Also, how soon until the next discussion? I want to be on time for that one.